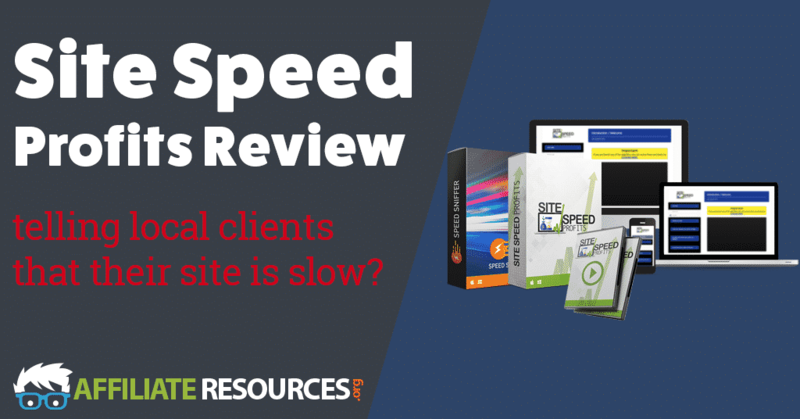 Site Speed Profits Review - Telling Local Clients that their Site is Slow? When you are running a business to business service company (B2B), acquiring new clients can be one of your biggest challenges. If you’re running a local SEO business, Site Speed Profits promises to teach you how you to attract new clients with ease. In this Site Speed Profits review, we’re going to be looking to see if Site Speed Profits can deliver on its promise or if it fails to help accelerate your business growth. What is Site Speed Profits? 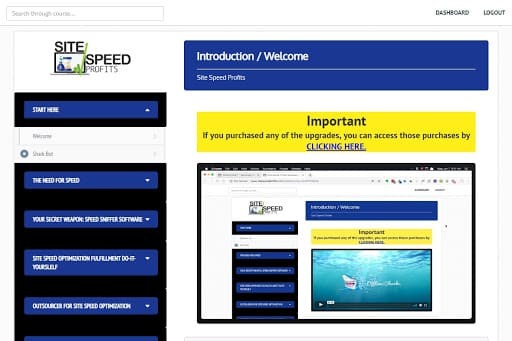 Site Speed Profits is a training course and software package created by Tom Gaddis, Nick Ponte and Paul James that is supposed to teach you how to acquire new clients as a local SEO company by approaching local businesses with an offer to increase the speed of their websites. I will go ahead and tell you that Site Speed Profits does deliver on its promises, but I don’t know if it’s necessarily worth the $97 price tag that comes with it. Before we try to determine if it’s worth its price, let’s first look at the buying process for Site Speed Profits. When you first go to the sales page for Site Speed Profits, it looks like most of the other sales pages for any other Internet marketing course. There’s a quick intro, a sales video and testimonials about how great the product has supposedly been for other people. 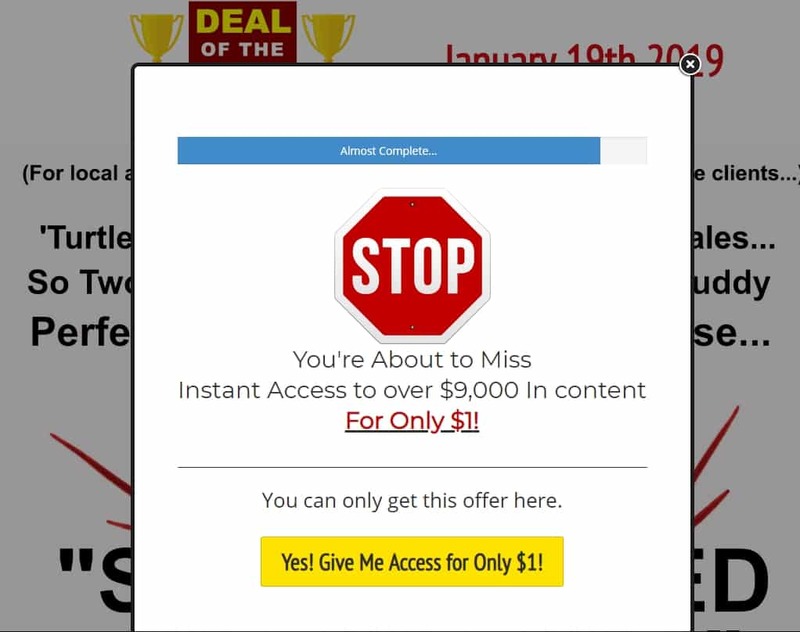 The thing that really threw me off though was that while I was reading the sales page for Site Speed Profits, a pop up flashed on top of the screen offering me “instant access to over $9,000 in content.” When I first saw it, I thought that it was for Site Speed Profits. After all I was looking at the sales page for Site Speed Profits and was about to make a purchase. So, I thought that this offer was possibly a discount on Site Speed Profits. This wasn’t the case at all. This felt like a very disruptive thing to happen during the buying process. Not only that, but I noticed the fine print in the offer. Yes, you receive a seven-day trial for one dollar but after the seven-day trial is up you’re billed a whopping $97 every 30 days until you cancel the membership. As you can see in the image below, it’s easy to miss this minute little detail during the checkout process. I don’t know about you, but I couldn’t help but feel like this was kind of a bait and switch as I went in to purchase one product and was pulled over to another product offering what appeared to be a much better value. Only after looking closely could you see the fine print that costs a significant amount of money every month. The offer was rejected to join the Shark Alliance for $97 a month. After that it was back to the races signing up for Site Speed Profits. When I was checking out however, I noticed fine print yet again. Instead of just being $97, Site Speed Profits was going to be $97 for the first year and $47 per year every year thereafter until it’s canceled as you can see below. 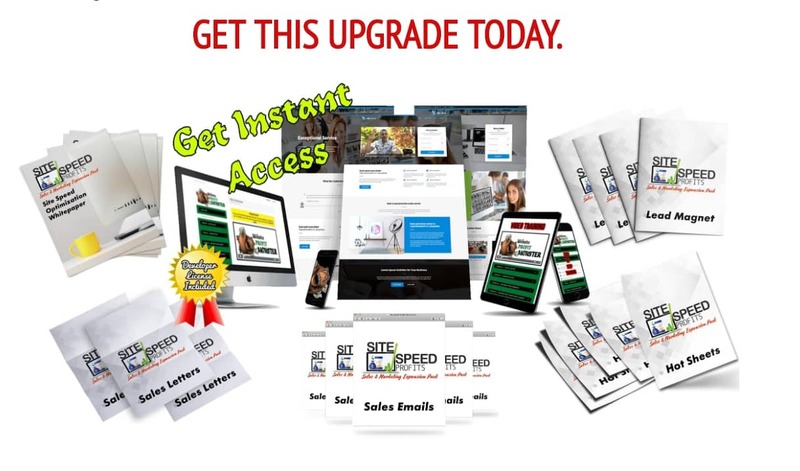 After making the initial purchase of Site Speed Profits, you’re taken to an upsell that offers you white pages, sales letters, emails, lead magnets and some additional training called “Website Profit Monster” which includes a WordPress theme and how to acquire clients who want websites redesigned for $27. If you refuse the upsell, you’re taken to a down sell page that offers most of the upsell package for $17. I believe the only things not included in the down sell are the “Website Profit Monster” training and the WordPress theme. If you decline that offer as well, you’re taken back to the $1 seven-day trial offer for the “Shark Alliance” that I mentioned above. After declining the seven-day trial offer you can finally gain access to the Site Speed Profits members area. The training inside of the course teaches exactly what is promised, but very little else. While you would learn how to potentially find clients who have own local businesses that run slowly, you may find yourself lacking information to answer their potential questions during a sales call. The Speed Sniffer tool is the best part of Site Speed Profits. You could gather the same information from Google or you could get much better information using other tools, but for what it’s designed to do, the Speed Sniffer tool does a good job. The overall price of the course seems very high for what you receive. This is true even with the included Speed Sniffer tool but even more so with the fact that you must pay an additional $47 every year to continue using the Speed Sniffer tool. You must pay attention to not just one, but multiple products offered inside of the funnel for Site Speed Profits or else you may find yourself surprised to see a subscription on your credit card statement. Yes, they do disclose that it is a subscription but it can be challenging to find. You receive training on how to determine if websites are slow and how to reach out to local businesses who own those websites, but you don’t receive any other training on running a local SEO business. This can result in finding yourself in a very uncomfortable conversation with a business owner who wants to know more about the types of services you offer. As I mentioned in the buying process section above, the sales process felt kind of like a bait and switch. While I was interested in looking at Site Speed Profits, I was instead directed to another product that has a monthly membership fee of $97 instead of the product I was originally interested in. Not only that, but you are taken back to the same membership offer again during the sales funnel process after purchasing Site Speed Profits. It’s clear to see exactly what the owners want you to buy, in my opinion, and it’s not Site Speed Profits. 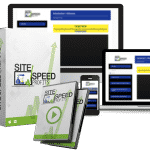 After spending a little bit of time with Site Speed Profits and messing around with the included tool, Speed Sniffer, there is some valuable training and potential use of the tool included in the package. The problem is that while you certainly would be able to find local businesses who could potentially use your help, you may find yourself struggling to conduct a full conversation with them about their websites if you don’t have any other SEO training under your belt. Landing local clients for SEO services can be very challenging. Much more so than what the owners of this tool product make it out to be. Many local business owners don’t understand that they even need SEO services, much less that their website needs to be faster to appear in front of more people. Many business owners believe that just because they have a website online, they’ve done everything they need to do to attract customers to their businesses. Knowing the answers that potential local clients may have is very important if you want to run a local SEO agency. Unfortunately, Site Speed Profits doesn’t teach you many of those answers and could result in making you look like a fool in front of local business owners instead of making a sale. On top of that, the price tag associated with Site Speed Profits just seems to be a little bit too steep in my opinion. Yes, you do get a tool that delivers on its promises but you can acquire the same information with a quick Google search followed by plugging in websites to the Google pagespeed insights tool. So, What’s Better than Site Speed Profits? If you’re wanting to seriously build a local SEO business or just an online business that works, then you should check out the place where I learned how to run an online business and local SEO business. There you will find quality training that can teach you all you ever needed to know about SEO and local SEO so that you can approach clients with the confidence that comes with you knowing the answers to the questions that they will surely have. It looks like there were many upsells within this funnel. That is certainly not an honest way to make money online. I am currently at the 10x Growth Conference in Miami and it is mentioned that to time your upsell appropriately. Meaning not too soon and not too late. What are your thoughts? I am also venturing on a New Local SEO Website. I cannot stand how these companies send me random Emails. Not only that. They tell me I have NO traffic etc No social interaction. They also go on to explain how I can be put on Google console they can add a sitemap etc. They can gain me excellent traffic. Boosting my site rankings. They also want to charge me $97+ I have all the emails to prove this. My conversions are good for a local site and I do not pay for traffic at all. I have all the proof I want and more in my Google webmasters tools and Bing Webmasters. My site is a month old. That site is converting. I simply reply I have all the expert training I need and I send them my free training link. That is 100% legit and contains no B.S. and no scams. To be honest. I couldn’t have done it without affiliate resources. To be honest I hope these scamsters stop sending me emails. They are just another product that wastes my time simple as.